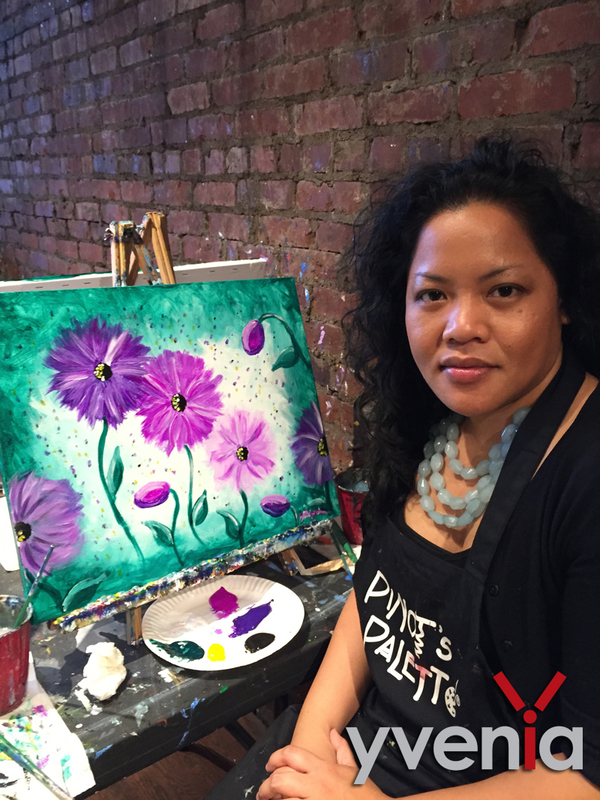 Yesterday, I was at my cousin’s bridal shower at Pinot’s Palette in Montclair, a BYOB art studio that provides a really cool concept of teaching a painting class while having fun with friends over food and wine. 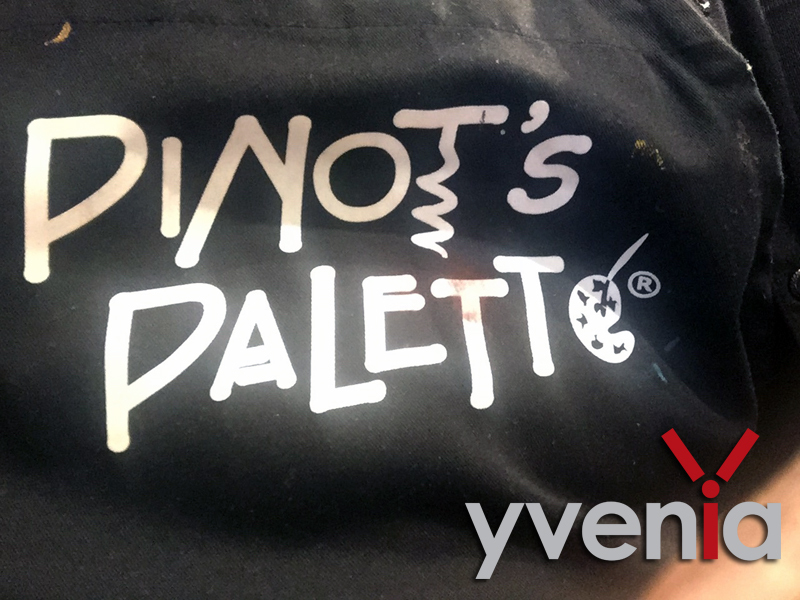 I never heard of Pinot’s Palette until I went to the bridal shower and I have to say that this place offers a fun atmosphere for everyone, whether you’re an artist or not. 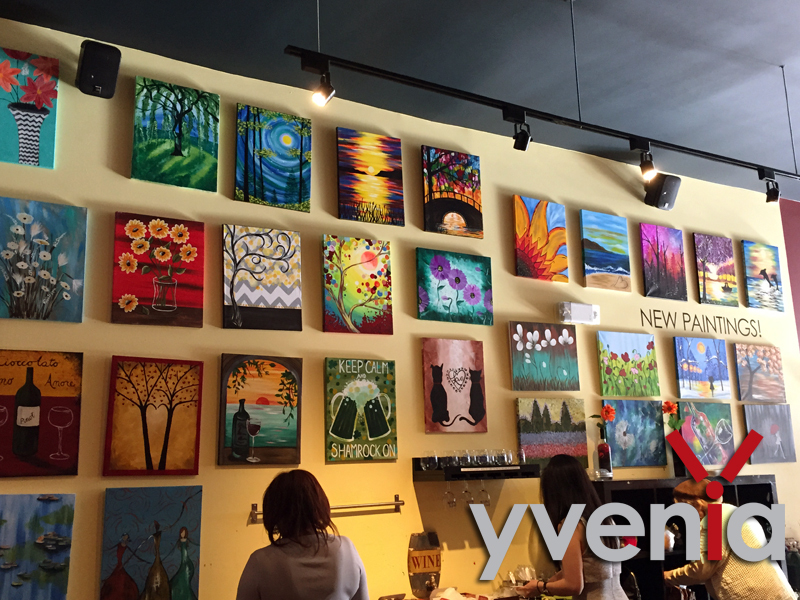 You get to network and catch up with friends while admiring the artwork hanging on the wall. 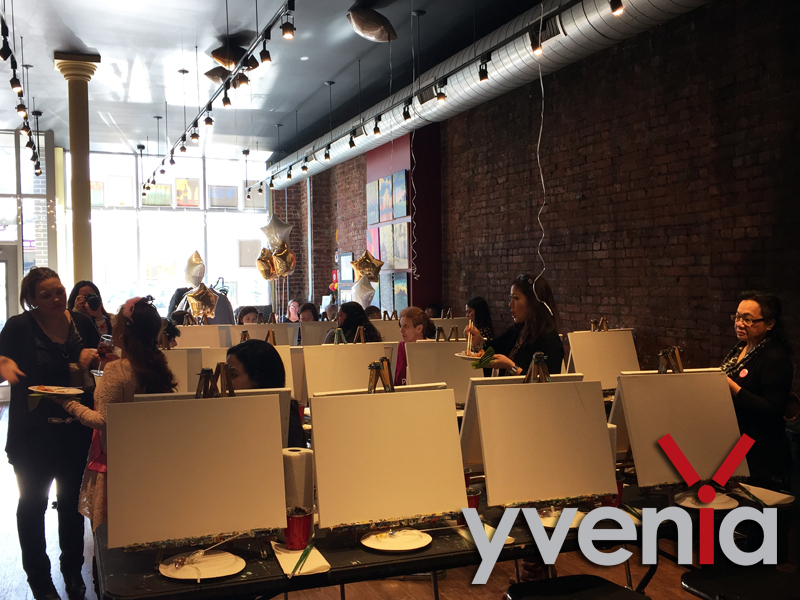 The place is also great for date night, a girl’s night out, birthday parties, and even for unique bridal showers. 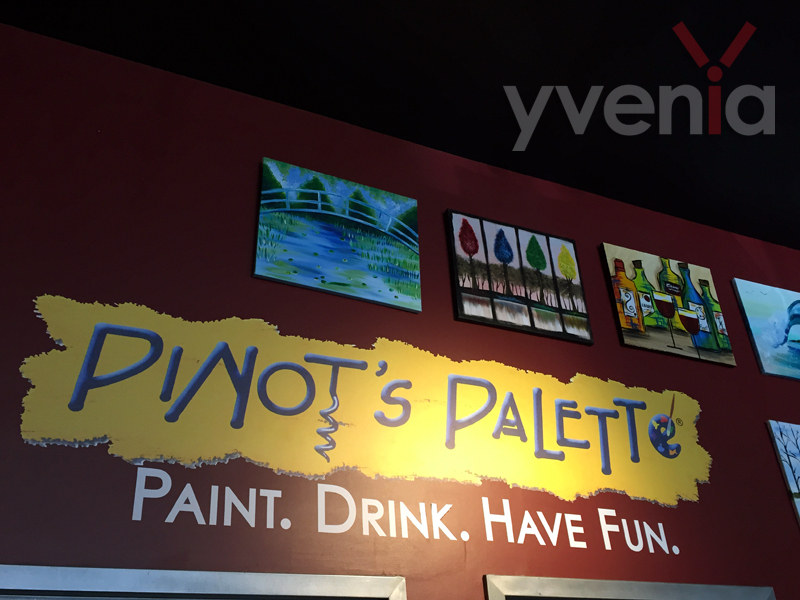 All you have to do is bring your own food and drinks, and Pinot’s provide the paints, brushes and canvases. 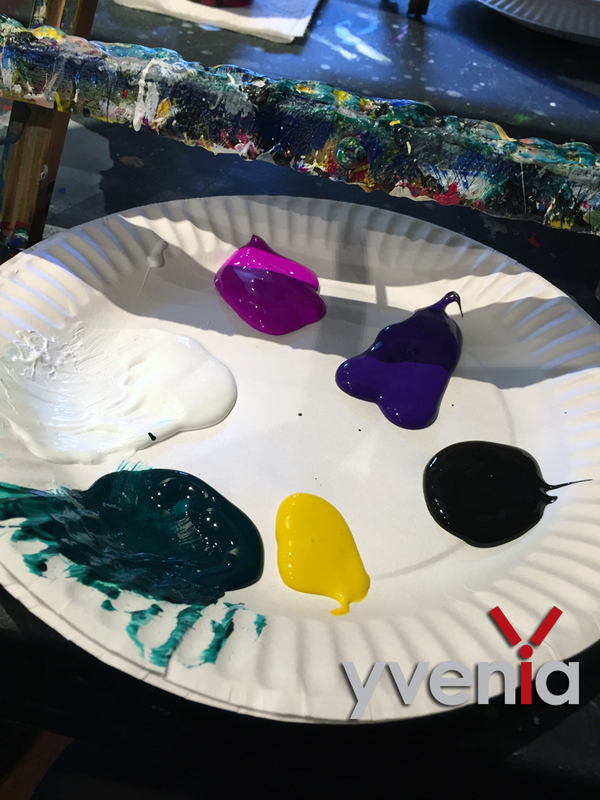 Depending on the location, the Pinot’s Palette also offers general art classes and holds private parties at their spacious studio, which you have to reserve in advance. I definitely recommend this place if you want something different than a usual happy hour at a bar. One of the activities we did at the shower was to paint flowers in celebration of spring (even though it’s snowing right now!). I haven’t used a paint brush in over 15 years and it felt like I was a student back in my art school days before all the things that adults had to do — working, paying bills, having responsibilities. I definitely have to thank Pinot’s Palette for bringing back the artist in me after not painting (or doing anything artistic outside of the computer) for many years. © 2016 yvenia. All Rights Reserved. All content -- including the logo, blog posts, and images -- are the property of the author and should NOT be re-published without permission. Unauthorized use and/or duplication of this material without express and written permission from this blog’s author and/or owner is strictly prohibited. 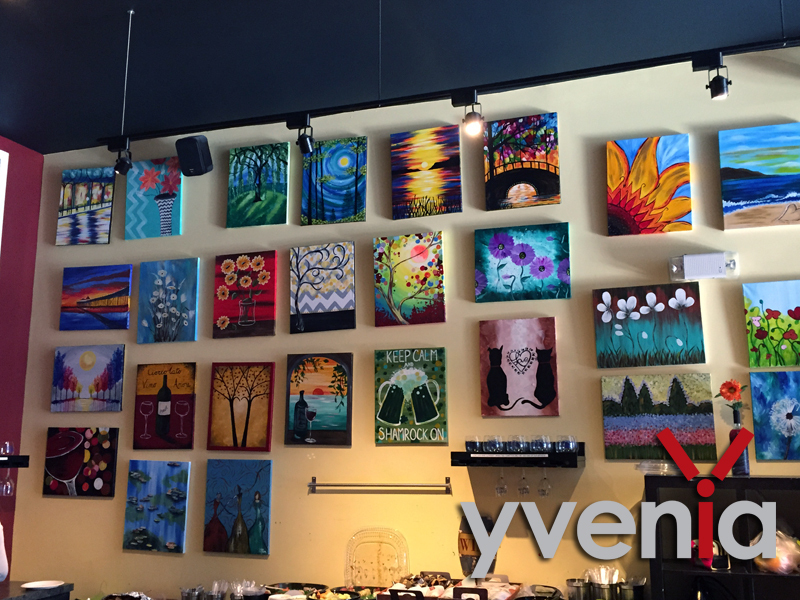 Excerpts and links may be used, provided that full and clear credit is given to yvenia.com with appropriate and specific direction to the original content.